As what looks to be the final chapter of a long road, Final Fantasy XV: Episode Ardyn comes with a very bittersweet feeling. The previous bits of DLC have ranged in quality from being completely forgettable to surprisingly good. Episode Ardyn falls somewhere in the middle of this scale, delivering an interesting complement to the game’s storyline but having some pretty basic gameplay. Episode Ardyn takes place several years before the events of the main game and gives players a front row seat showing Ardyn’s attempts to destroy Insomnia. 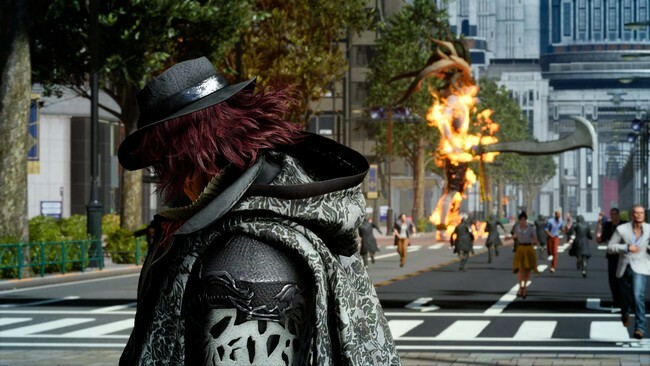 The episode also sheds light to explain why Ardyn is as villainous as he is, and also develops some other aspects of the Final Fantasy universe. The greatest thing about the latest bit of DLC is how it manages to turn a previously interesting, but oftentimes one-note villain, into a sympathetic figure. As was the case for many of Final Fantasy XV’s narrative components, Ardyn’s story was nearly completely left out of the main game, so being able to experience Episode Ardyn does impact a lot about what we saw in Noctis’ journey. In fact, the storyline really is the strongest aspect of Episode Ardyn. 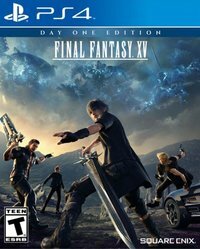 As expected, Ardyn gets a lot of attention here, but there’s also a lot of other development about the world and lore of Final Fantasy XV. Through Verstael Besithia’s research, the player can learn the origins of daemons, the Starscourge, and the line of Lucis. Combat is a very similar affair to the main game. Unfortunately, this ends up being one of the weakest aspect of the episode, due to how similar it feels. As a member of the Lucis family himself, Ardyn controls very similarly to Noctis. The most considerable change comes from his movement options, which let him readily warp to areas on the map and race around as a shadow during combat. This does change how combat feels slightly, but it’s still a very simple affair of hitting the same button over and over again. Ardyn also has the ability to fight after death, which can make things a bit more interesting, but a lack of challenge means this ability isn’t very prominent. The fact that Ardyn can obliterate pretty much anyone does make for satisfying gameplay, but it’s still a bit too repetitive. This feeling of repetition isn’t helped by the fact that the main chunk of gameplay has you destroying towers in Insomnia, guarded by multiple waves of the same type of enemies. Even if the DLC chapter is short, it doesn’t help that the gameplay doesn’t evolve much. However, the use of Ifrit as a companion is actually quite a cool touch. Ifrit acts as a party member for Ardyn, who is able to control his abilities. It’s not majorly game-changing like Ignis’ grappling hook or Prompto’s snowmobile, but it does help spice things up a little bit. The use of Insomnia as the main stage for battle is genuinely a pretty cool component of Episode Ardyn. This location is so important to the Final Fantasy XV’s narrative, yet we never really got to experience it during the main game, so it’s nice to see the other side of things. Insomnia is packed full of detail and charm, and it really does help ease up the slightly repetitive gameplay. As was the case with the other DLC episodes, Ardyn’s adventure is very short. There’s some post-game stuff for you to do, such as collecting hats or fighting Noctis, but the main quest won’t hold you for more than three hours. All of this combines for that ‘bittersweet’ feeling I mentioned. Episode Ardyn is fine, but it’s held back by repetitive gameplay that doesn’t really live up to Episode Ignis or Prompto. Unfortunately, the only thing really worth going in for here is the story and how it expands on FFXV universe lore.